"Top Ranking" event is still on! Don't forget that «Top Ranking» event is still on! All you have to do is to refill your account with a set amount of Gold. 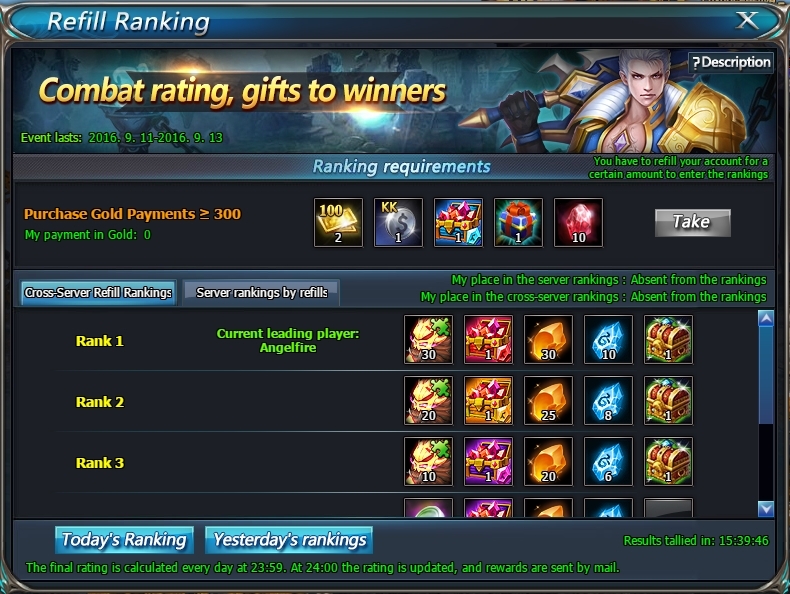 When all your Gold payments reaches a set amount, you're placed in the payment rankings. For your Rank you get a reward. Hurry up and don't miss it!